In a relationship, it takes extreme sacrifice, commitment, and unconditional love for one another in order to work. Above all else, it takes seeing your partner as your equal, and not getting into a relationship for the sole reason of gaining something from it. Many relationships fail for this reason, in fact – people tend to see a relationship as an escape route from loneliness, as a way to heal or fix themselves, or even as a means of financial security. In other words, most people get into relationships in order to gain something, not to give something. They want happiness and companionship, but don’t think about providing this equally for their partner. For a relationship to truly work long-term, both people need to first become friends – the best of friends, in fact. They need to spend time getting to know one another down to the core, and simply enjoying life together. 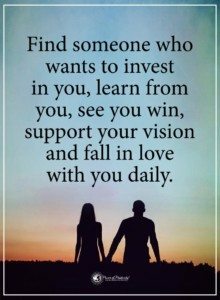 If you can look at your lover and partner as a friend as well, then you have much better chances of sticking it out long-term. Relationship and marriage expert Hellen Chen says that 85 percent of relationships end in a breakup, and 50 percent of marriages end in divorce. The numbers don’t look too promising, but this doesn’t mean your relationship will fail. You just have to know how to make things work after the initial honeymoon phase passes. So, if you want to know if your relationship can endure life’s endless pressures, you just need to ask yourself if you see your partner as not just a lover, but as a best friend, too.